Sara Miller is the Head of Global Strategic Communications & External Engagement for the Crop Science division of Bayer. In this role, she is responsible for global external communications to support the company’s reputation and the license to operate of the division. This including strategic messaging, media relations, issues communications, sustainability communications, advocacy programs, content marketing and consumer engagement. Previously, Sara was the Head of Global Communications and Marketing at Monsanto. In her role, Sara led her team in driving the development and execution of proactive internal and external communications and marketing strategies to support the company’s reputation and license to operate. This included the global strategies for executive and thought-leadership communications, employee communications, media relations, financial and M&A communications, technology communications, digital and content marketing. Prior to joining Monsanto in 2009, Sara worked at Anheuser-Busch in St. Louis. Sara received her Bachelor of Arts degree in marketing and corporate communications from Westminster College in Fulton, Missouri. She is a member of the Board of Directors for the Magic House, one of the country’s top children’s museums that provides hands-on learning experiences for children and families. Sara and her husband Dan live in the St. Louis area with their three young children, Price, Harrison and Catherine. 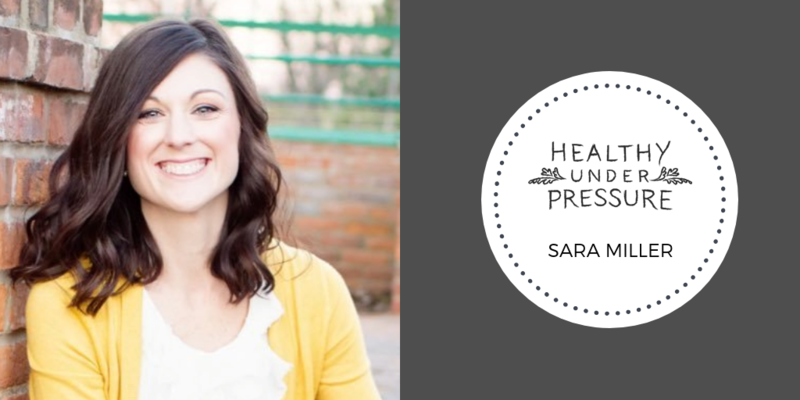 During this episode, Sara and I spoke about her career journey and how she stays healthy under pressure as a busy professional, wife and mother. You can connect with Sara on Linkedin and Twitter.